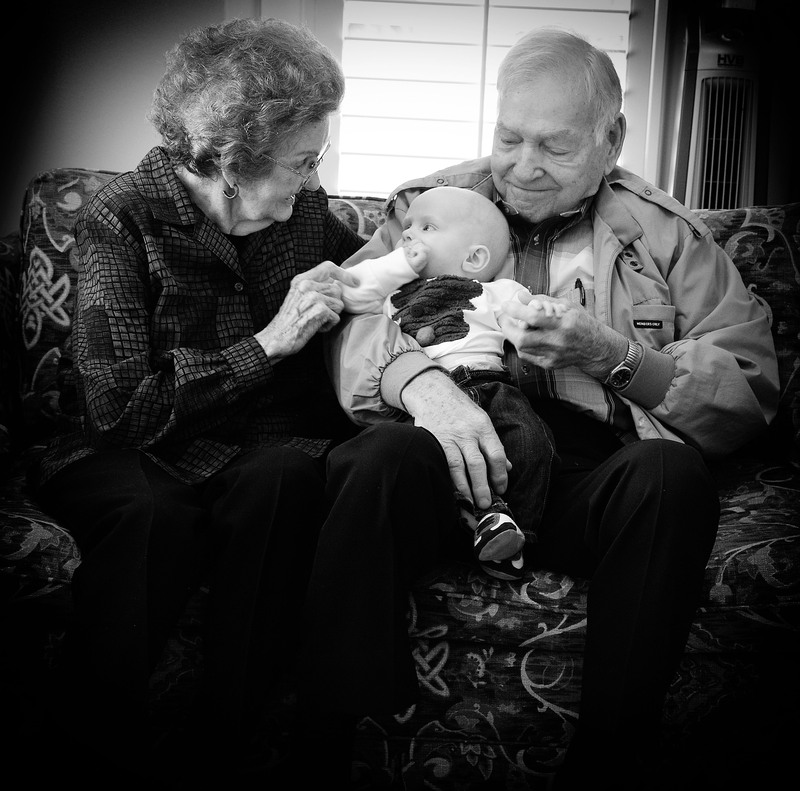 My Granny and Grandpa (married over 70 yrs by the way), gently loving their youngest great-grandchild. This is the gentleness our Heavenly Father demonstrates to us! As I have pondered the fruit of gentleness, the first question that comes to mind is, “Does our society value it?” Gentleness is defined as humility, meekness, and consideration. Other descriptions of gentleness: tender, soft, and delicate. 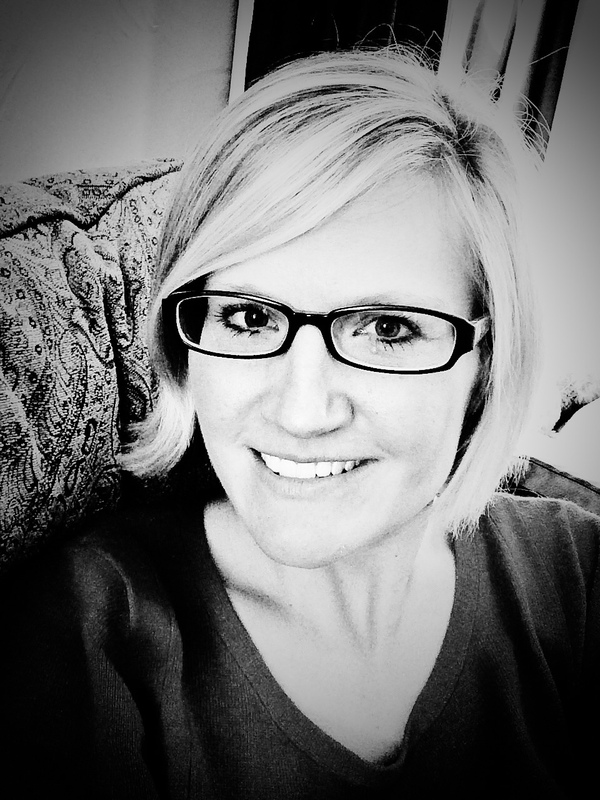 I was recently discussing gentleness with a group of college women. We all agreed that there are a few occasions when our culture would advocate gentleness, but as a general rule, it is not hailed as a virtue to pursue and demonstrate. Some of the gals made the comment that the world sees gentleness as a kind of meekness that allows someone to “walk all over you (i.e. the doormat syndrome).” When you look at gentleness as demonstrated by Jesus Christ, however, I believe you see quite a different picture. Biblical gentleness actually takes great strength of character. Biblical gentleness requires wisdom, grace, and restraint. As a family unit, I truly believe we could all use some training in gentleness. Just think about how a little dose of humility could change how our children interact with one another. Think about how it could change our marriages! A well-known pastor once said, “Pride is at the heart of every argument I have with my wife.” When I sit back and think about the quibbles I have with my husband, humility is definitely absent and pride is the driving force. The same is true with my kids. This week’s lessons are going to be hard to swallow at times. The gentleness that Jesus Christ demonstrated while walking this earth is very radical indeed. It is counter-cultural. He was counter-cultural, and we will be too when we allow the Holy Spirit to show forth this fruit in our lives. FRUIT OF THE WEEK: Pineapple. I don’t really know why, but it just seems to fit. 🙂 I put pineapple in my banana nut bread recipe (it’s my Granny’s recipe actually). It makes it extra moist and sweet. DAY ONE: What is Gentleness? Begin your time together with prayer. Pray that God shows your family the true meaning of gentleness. Just for fun: watch the 1938 classic cartoon Ferdinand the Bull. Would you describe Ferdinand as a gentle bull? Why or why not? Was Ferdinand a weak, timid bull or did he have great strength? When did you see that he was capable of being very scary and strong? Was the matador gentle when he discovered Ferdinand wouldn’t fight? What did the matador’s actions reveal about his heart? Do you see pride in him? (he was mad that he couldn’t show off with his sword and skill). Do you relate to Ferdinand? Why or why not? Do you relate to the matador? Why or why not? What does it mean? Can you define it? Ask your kids: What do you think are times we need to show more gentleness to one another? Do you think of God as gentle? Did you know that the Bible talks about God’s gentle voice and the humility of Jesus? This week we are going to look at some scriptures that reveal His gentleness. Do you think of God as strong and powerful? How is He mighty? Should we fear the LORD? Can God be both all powerful and gentle at the same time? We are going to discover the answer to these questions starting tomorrow! Finish by reading the verse of the day. Have your children say it with you a few times. Based upon this verse, does God think gentleness is pretty important? 4 pieces of 8.5×11 paper or poster board. Before this story, God had just demonstrated His great power by sending fire down from heaven to prove to all the people that He was the One true God. God used Elijah in a very powerful way to call down that fire. After this, Jezebel sent word that she was going to kill Elijah. Elijah flees because he is afraid. NOW READ 1 Kings 19:3-16. Did God show both His mighty power and His gentleness in this passage? How would the wind, the earthquake, and the fire have been big and frightening? When God spoke to Elijah in a gentle voice, did he make an angry statement or ask a question? What do we learn about God’s character in this passage? After all God had done through Elijah and for Elijah don’t you think He would be upset that Elijah was giving up hope? But how did He choose to correct Elijah? What can we learn from this passage about gentleness? God had the power to destroy Elijah in the wind, earthquake, and fire–but He didn’t. Instead he spoke to Elijah in a still, quiet voice and He asked questions of Elijah before making a command to him. Do we make these kinds of choices as a family? BEFORE YOU MEET: Today we are going to take a look at the gentleness and humility of Jesus. We are going to read and talk about different occasions when He demonstrated these. You don’t have to go through every passage, but if you have older children it is highly recommended. Just let the Spirit lead you to what is best for your family and the ages of your children. Philippians 2: This passage talks about how Christ gave up His place of authority in heaven and humbled Himself to become a man. The Creator of the Universe who has all power and rights as King gave it up to serve and die for mankind. (This passage should be coupled with the two passages in Matthew to get a full picture). If you want to talk further about all the authority Jesus gave up, look at Colossians 1. This is a great section of scripture on the authority and rights of Christ. John 10:14-39. How does Jesus respond to the Pharisees and Jewish leaders? What could He have done instead? Matthew 26:35-56 & 59-67: In this passage, Jesus makes clear that He has the power to call on a legion of angels to do His bidding, but he refrains from it because He knows He must go to the cross. This is a perfect example of showing gentleness when He had the power to destroy and take revenge. Matthew 27:27-54: The crucifixion. Point out how many times people mocked Jesus and tortured Him. Did He take revenge? Why not? Make the point to your kids that He could have come down off of the cross but He chose to die a cursed death for them. After Christ dies, how does God demonstrate His power? Again we see great power combined with humility in our God. What happens to the centurion who witnesses the meekness of Christ and the power of God the Father? At what times do we act in selfishness and pride rather than humility? arguments between brothers and sisters? honoring your father and mother? submitting to your teachers and coaches at school? dealings with people we don’t like or who mistreat us for no reason? use of authority over our children and co-workers? Begin with prayer. Pray a prayer that incorporates what you learned yesterday. Have each child give an example of when they followed this proverb and when they didn’t. What happens when you use a harsh word toward your brother/sister? ACTIVITY: If your younger kids like science experiments they will love this. If you have older kids, let them lead out in the experiment. STEP FOUR: In the other jar, place more baking soda. STEP FIVE: This time, take some water and say, “This represents gentle words.” Have your kids taste it before pouring in. Gal. 6:1 Brethren, even if anyone is caught in any trespass, you who are spiritual, restore such a one in a spirit of gentleness; each one looking to yourself, so that you too will not be tempted. Begin with prayer and by reading the above verses together. 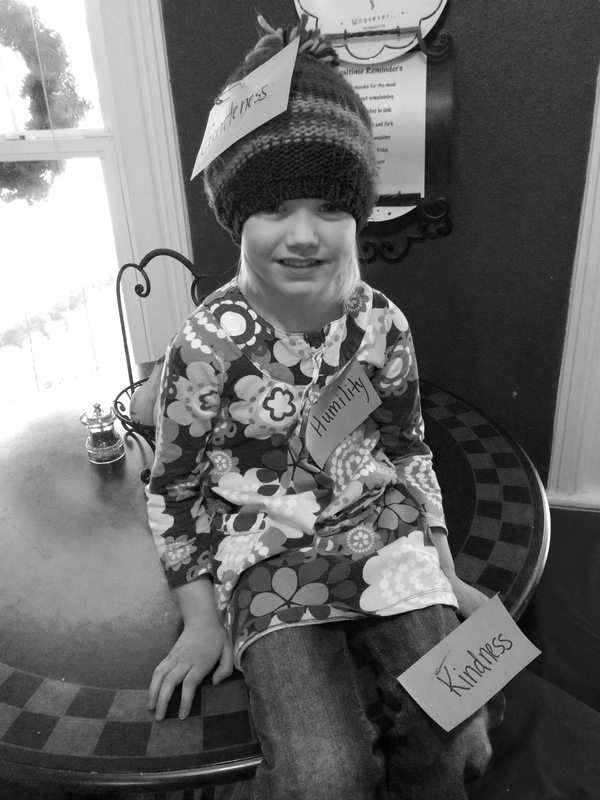 ACTIVITY: Today we are going to clothe ourselves in gentleness–just as God commands us to do in Colossians! Once each family member has their pile of clothes ready, have them place them at their feet. Repeat for the remaining 3 pieces of clothing. OKAY! We are now dressed in gentleness! CHALLENGE: Keep the clothes on for the rest of the day or for a couple of hours. Encourage one another when one of these characteristics is demonstrated. Gently correct when someone is not demonstrating what they are wearing. This activity will really stick with your kids! Make sure you do it and have fun with it! In today’s world, beauty is defined by appearance. Sure, certain companies will try and advertise “inner beauty,” but while doing so they use people who are visually pleasing. Our girls are inundated with the lie that if they aren’t physically beautiful, then they aren’t good enough. Women and girls become consumed with fashion–the right brands, the right style, the right colors to wear, the right make up and hair, etc. I’m not saying that moms and daughters need to throw it all in the tank and give up on hygiene, or to abandon shopping at the local mall for a cool outfit. Notice the verse says that our adornment must not merely be external. Yes, I have spa days with my girls. We paint our nails, curl our hair, find fun bracelets and outfits to put on. But, we do need to do a heart check and make sure the desire to look right is not an idol. Humans will ALWAYS look on the outside, but God looks at the heart. Our daughters must hear this truth over and over again. If they look great on the outside, but they are full of bitterness, anger, pride, and selfishness on the inside–they are sinning and missing the mark. Also, they are missing out on God’s best! Can you think of friends or women you know who have a gentle spirit? What do you think a gentle and quiet spirit really looks like in your own life? What are some character traits that demonstrate a gentle, quiet spirit? If your outward appearance truly showed what you were like on the inside, would it be beautiful? Have you read books or seen movies where a female character shows the ugliness in her heart but she is beautiful on the outside? Did her outer beauty really matter to you since her heart was wrong? ACTIVITY: You could take some time to literally make this point by having your girls totally mess up their hair, get their hands and face dirty, put on an angry facial expression. Is this what your heart really looks like? Also, read Proverbs 31:30. How does this verse support the verses in 1 Peter? Think before you speak. People tend to listen and respond better when we are cautious with the words we use and how many we use! Don’t be outspoken or brazen. Don’t treat other people as though you are better than they are. If you are organized and they are not, don’t treat them harshly. A prideful heart is much worse than a dirty and unorganized room! If you have a problem with someone, go to him/her directly. LOOK AT 1 Peter 3:3-4 one more time. Notice that this quality is IMPERISHABLE. What does that mean? Outward beauty will fade. If you make it to 90, you will have wrinkles, you will probably be hunched over, you won’t be able to move very quickly and easily, your hair will be thin. Inner beauty will NEVER perish. Some of the most beautiful women I know are in their 80s and 90s. Though their outward beauty may have faded, they still look beautiful because of the radiance from within. When you look in their eyes you see that sparkle and cannot be quenched. It’s contagious, and it inspires me to grow and work on my godly character. FINISH with prayer and give your daughter a great big hug. Tell her she is beautiful inside and out!